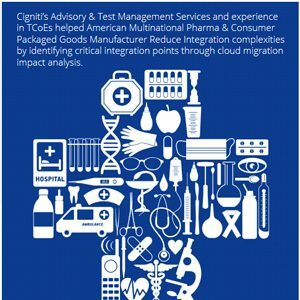 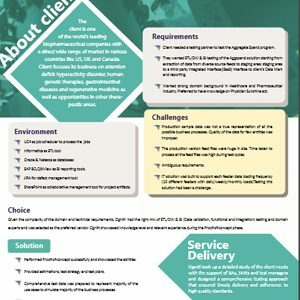 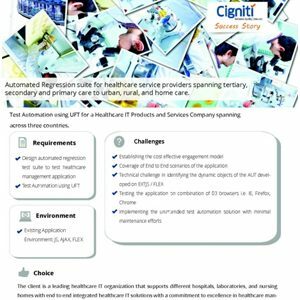 Cigniti’s ATS Services helped an American Multinational Pharma Company Reduce Integration complexities. 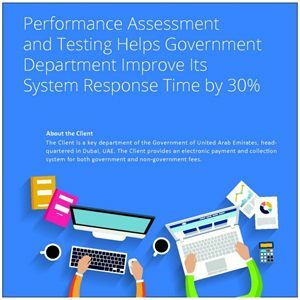 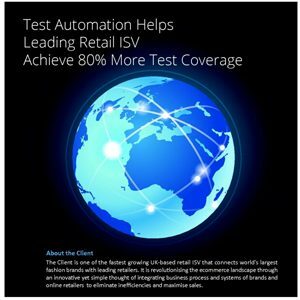 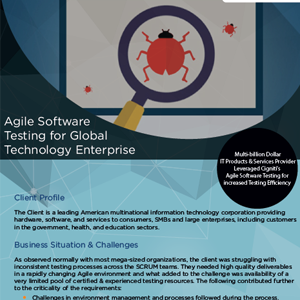 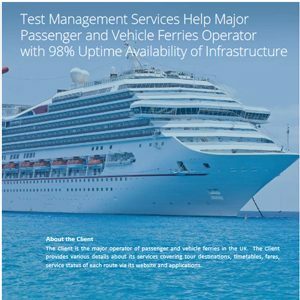 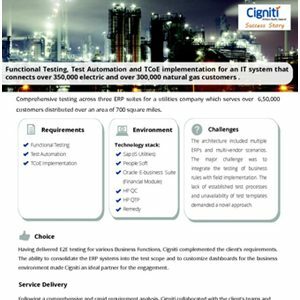 Cigniti’s Test Advisory Services helped a Leading Global Technology major meet its functional, performance, & automation testing needs. 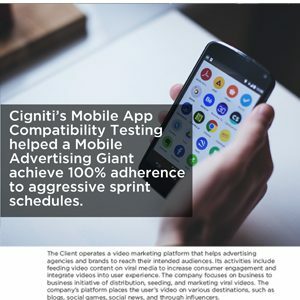 Cigniti’s Mobile App Compatibility Testing helped a Mobile Advertising Giant achieve 100% adherence to aggressive sprint schedules. 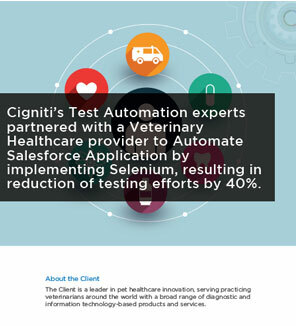 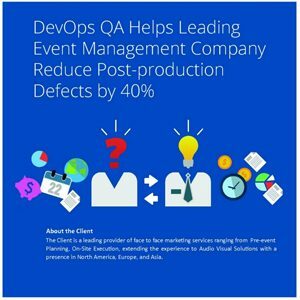 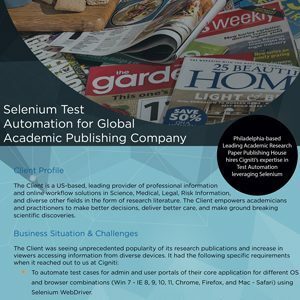 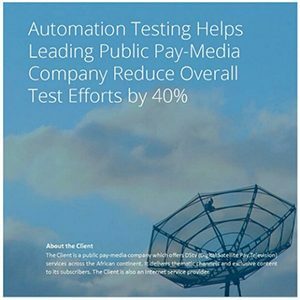 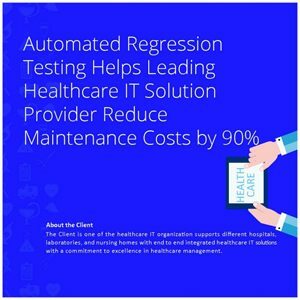 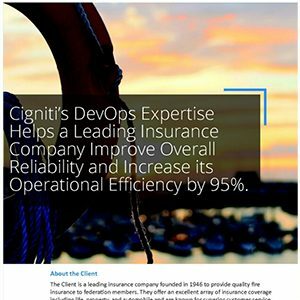 Cigniti’s Test Automation experts partnered with a Veterinary Healthcare provider to Automate Salesforce Application by implementing Selenium, resulting in reduction of testing efforts by 40%. 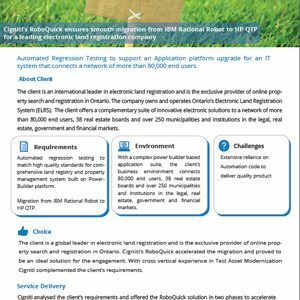 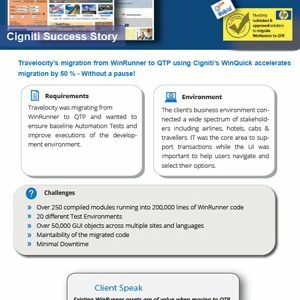 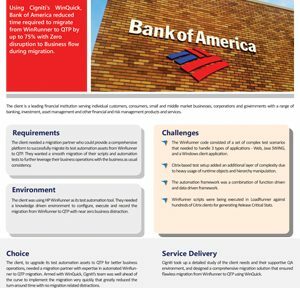 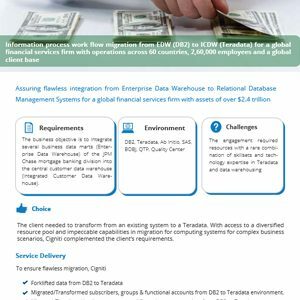 Using Cigniti’s WinQuick, Bank of America reduced time required to migrate from WinRunner to QTP by up to 75% with Zero disruption to Business flow during migration. 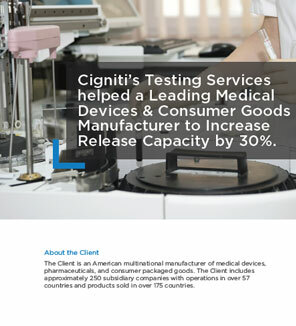 Cigniti’s Testing Services helped a Leading Medical Devices & Consumer Goods Manufacturer to Increase Release Capacity by 30%. 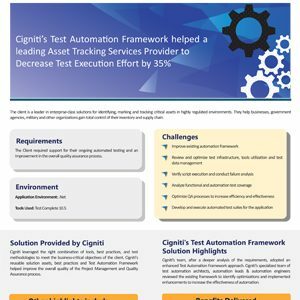 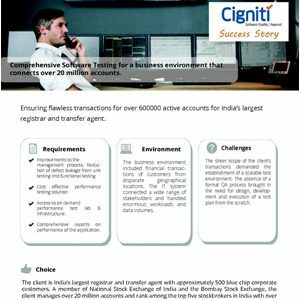 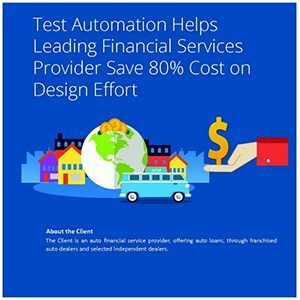 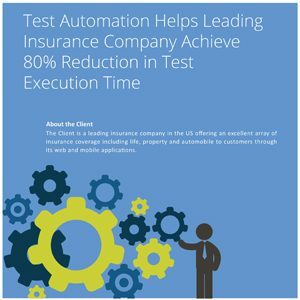 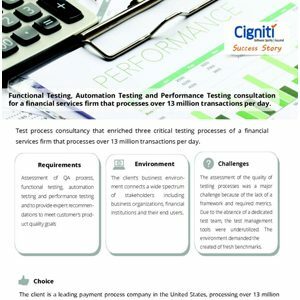 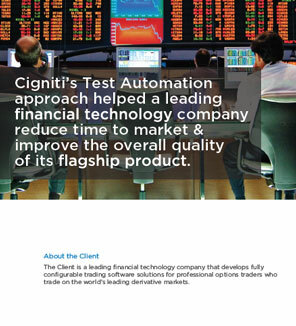 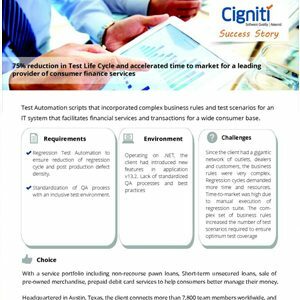 Cigniti’s Test Automation approach helped a leading financial technology company reduce time to market & improve the overall quality of its flagship product. 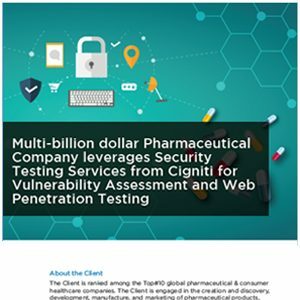 Cigniti helped a leading global specialty biopharmaceutical company by ensuring that 100% coverage of functional testing was possible with its requirement traceability matrix. 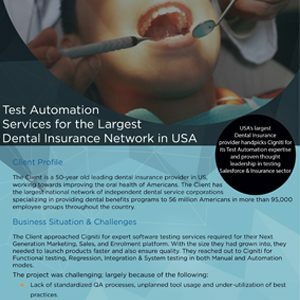 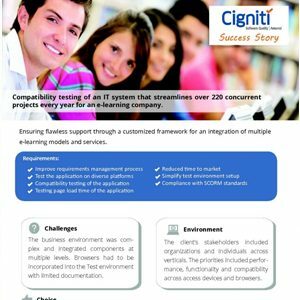 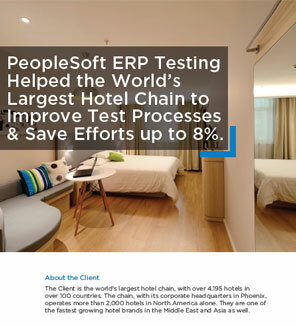 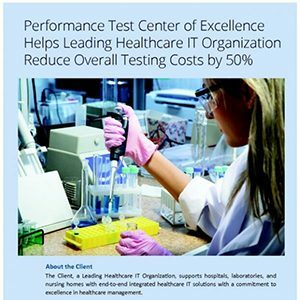 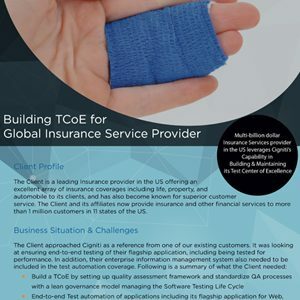 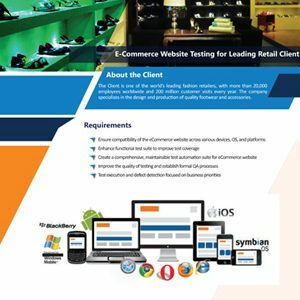 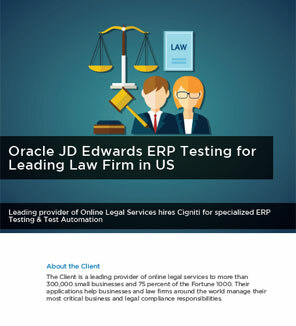 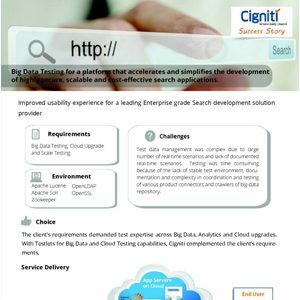 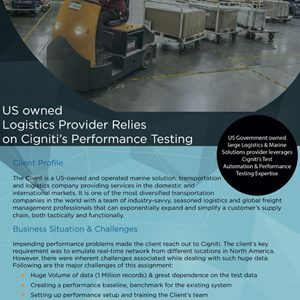 Cigniti established a Performance Testing Center of Excellence for a large retailer in the USA. 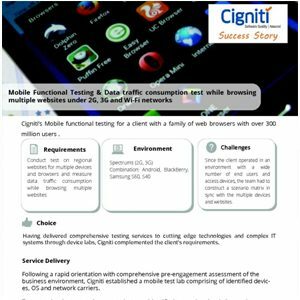 Cigniti delivered Functional Testing, Installation, Interactive testing across iOS and Android to strengthen a social applications developer with more than 60 million users. 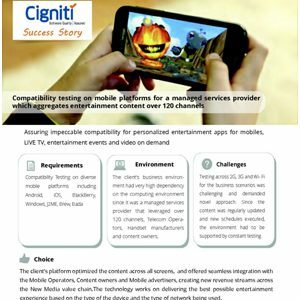 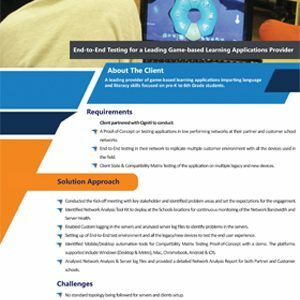 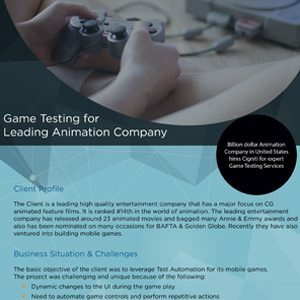 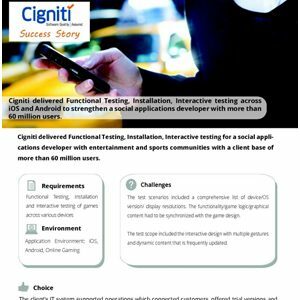 Cigniti delivered Functional Testing, Installation, Interactive testing for a social applications developer with entertainment and sports communities with a client base of more than 60 million users. 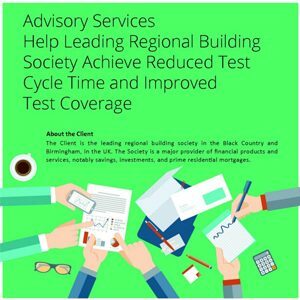 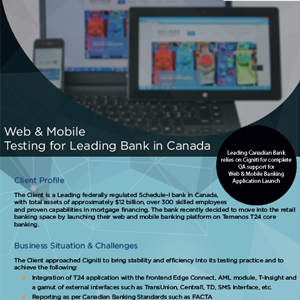 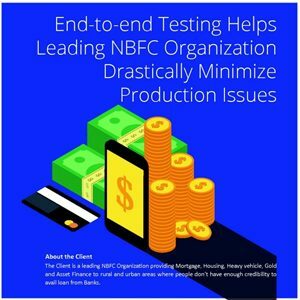 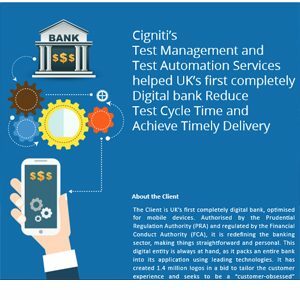 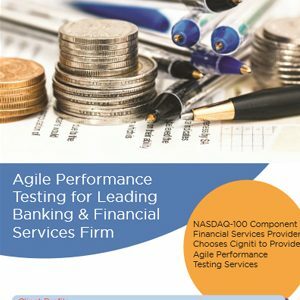 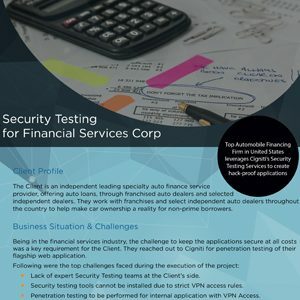 Cigniti delivered Functional Manual Testing, Interrupt Testing, Drive Testing, Regression Testing, and Performance Testing to one of the largest community banks in the South-eastern region of US. 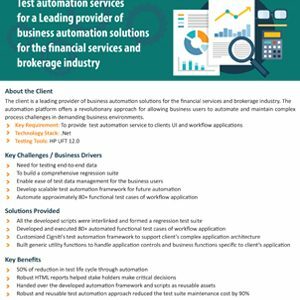 Test Automation scripts that incorporated complex business rules and test scenarios for an IT system that facilitates financial services and transactions for a wide consumer base. 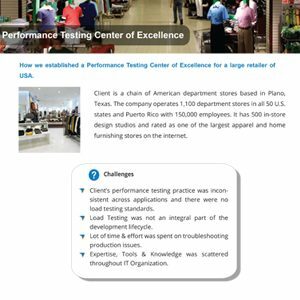 The Client is one of the leading home furnishings and decor retailers in US. 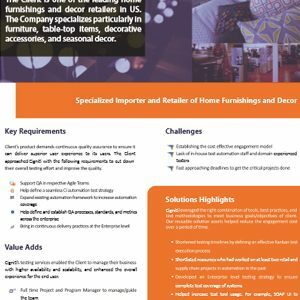 The Company specializes particularly in furniture, table-top items, decorative accessories, and seasonal decor. 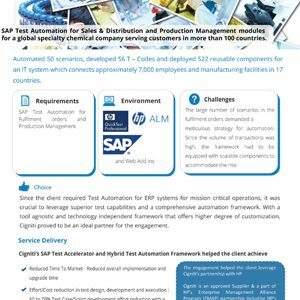 SAP Test Automation for Sales & Distribution and Production Management modules for a global specialty chemical company serving customers in more than 100 countries. 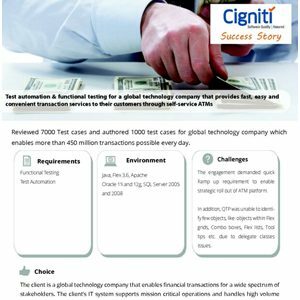 Mobile application testing, build verification, functional & regression test automation for a financial services firm that processes over 13 million transactions per day. 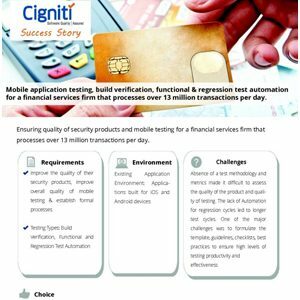 Ensuring quality of security products and mobile testing for a financial services firm that processes over 13 million transactions per day. 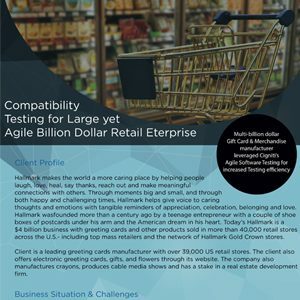 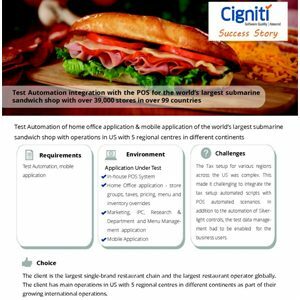 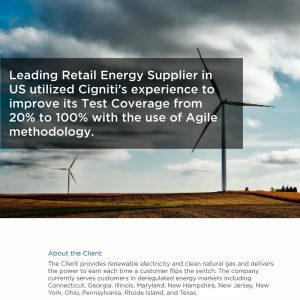 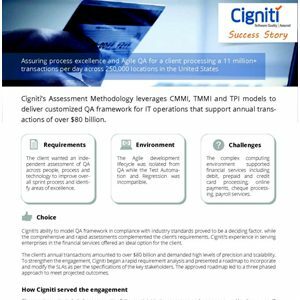 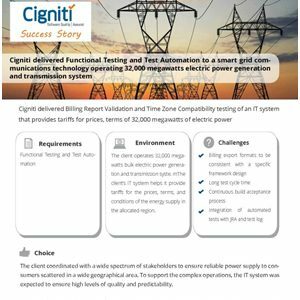 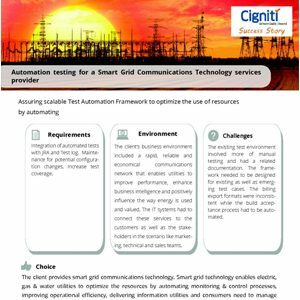 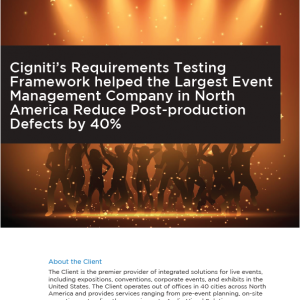 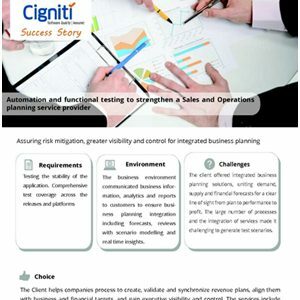 Leading Retail Energy Supplier in US utilized Cigniti’s experience to improve its Test Coverage from 20% to 100% with the use of Agile methodology. 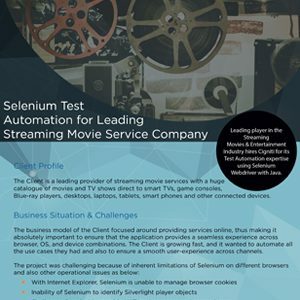 Leading player in the Streaming Movies & Entertainment Industry hires Cigniti for its Test Automation expertise using Selenium Webdriver with Java. 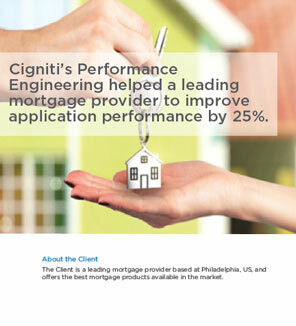 Cigniti’s Performance Engineering helped a leading mortgage provider to improve application performance by 25%. 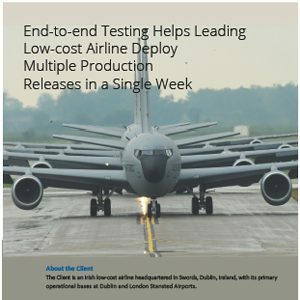 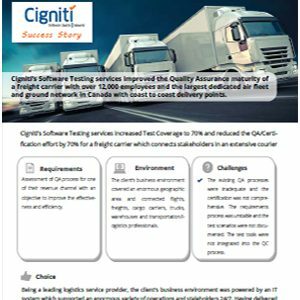 Cigniti’s Software Testing services improved the Quality Assurance maturity of a freight carrier with over 12,000 employees and the largest dedicated air fleet and ground network in Canada with coast to coast delivery points. 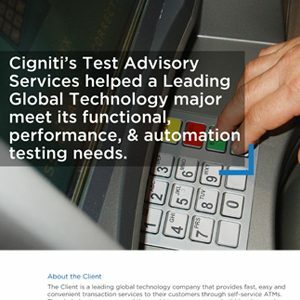 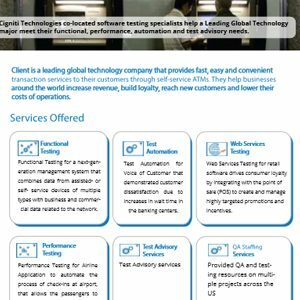 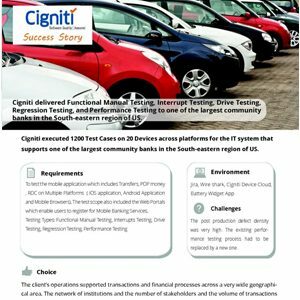 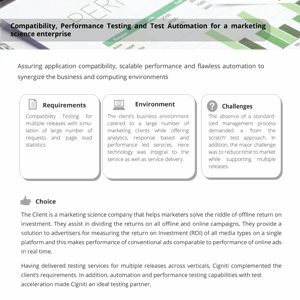 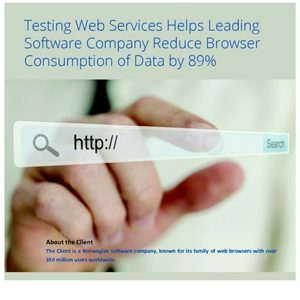 Cigniti Technologies co-located software testing specialists help a Leading Global Technology major meet their functional, performance, automation and test advisory needs. 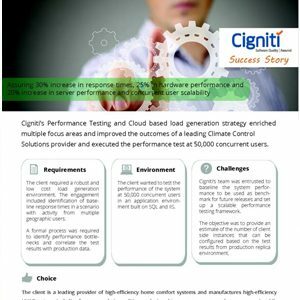 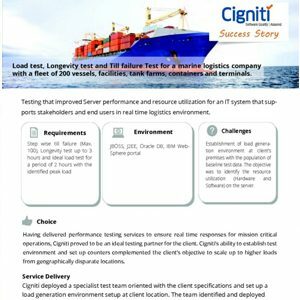 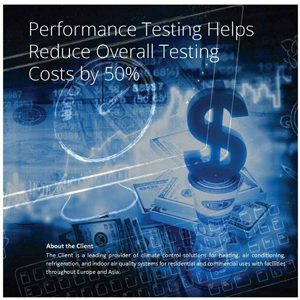 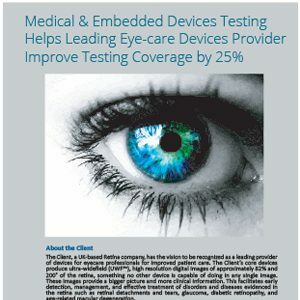 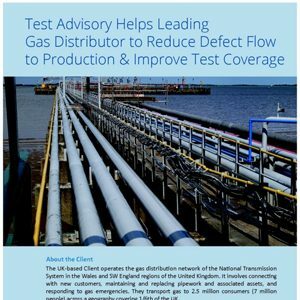 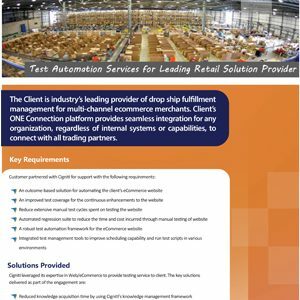 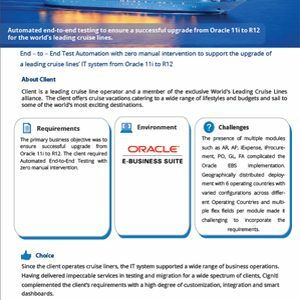 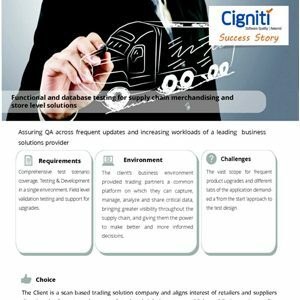 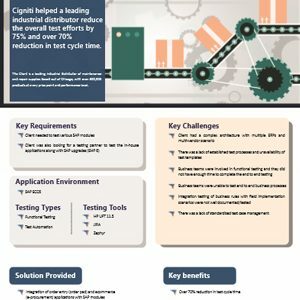 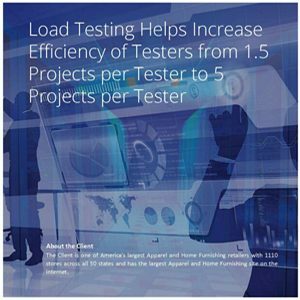 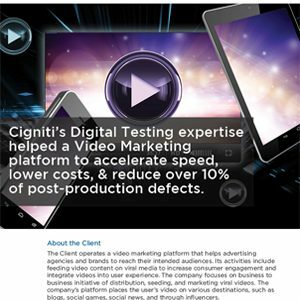 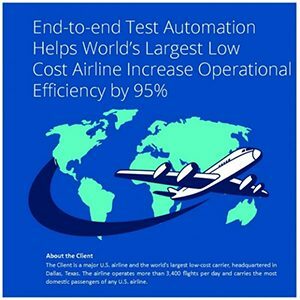 Cigniti helped a leading industrial distributor reduce the overall test efforts by 75% and over 70% reduction in test cycle time. 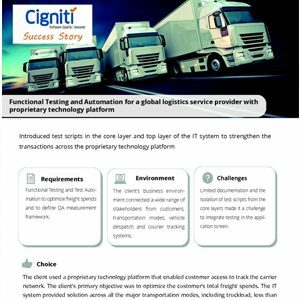 Cigniti helped a gloablly leading biopharmaceutical company uncover critical issues, by initiating “multi-iteration” testing methodology to simulate the data loading iterations, for each feeder to mimic production loads. 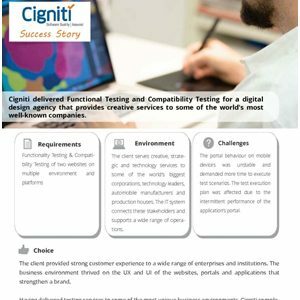 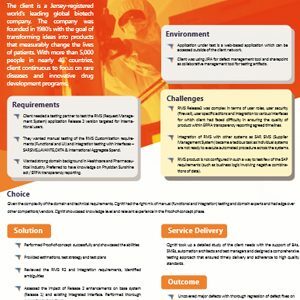 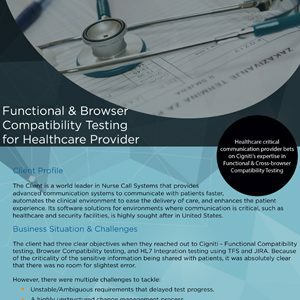 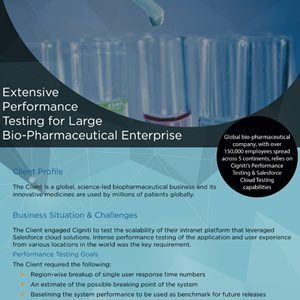 Cigniti derived test strategy for backward compatibility testing for leading global biotech company. 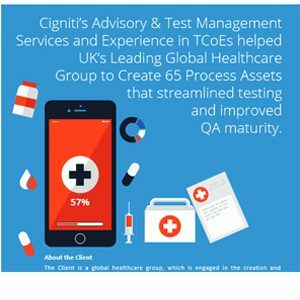 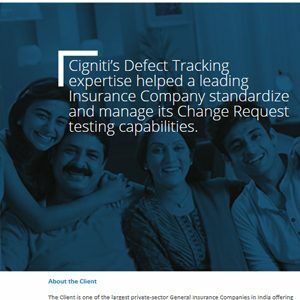 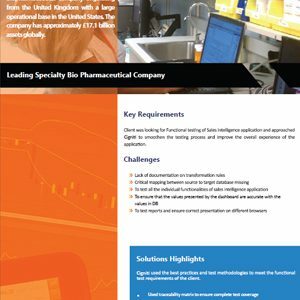 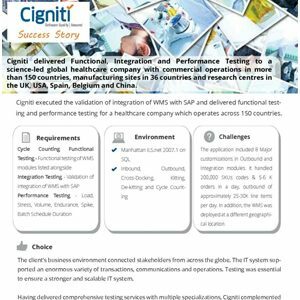 Cigniti delivered Functional, Integration and Performance Testing to a science-led global healthcare company with commercial operations in more than 150 countries, manufacturing sites in 36 countries and research centres in the UK, USA, Spain, Belgium and China. 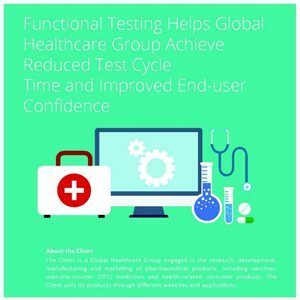 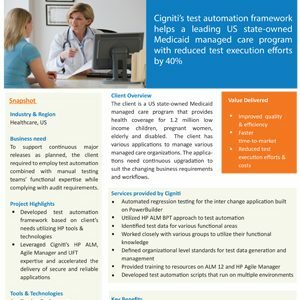 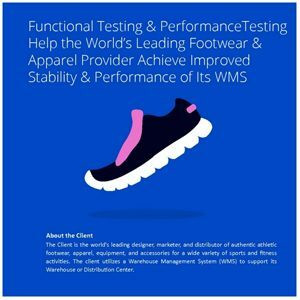 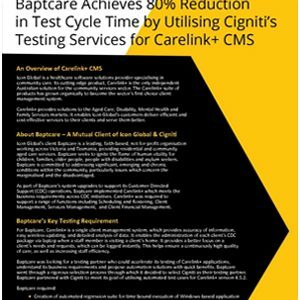 Cigniti executed the validation of integration of WMS with SAP and delivered functional testing and performance testing for a healthcare company which operates across 150 countries.